October is a great time to cycle this legendary volcano - not too hot, although pretty chilly at the top. The road wasn't crowded but there were still plenty of cyclists - mainly foreigners that were here for one reason - to climb Ventoux. October is a great time to cycle this legendary volcano – not too hot, although pretty chilly at the top. 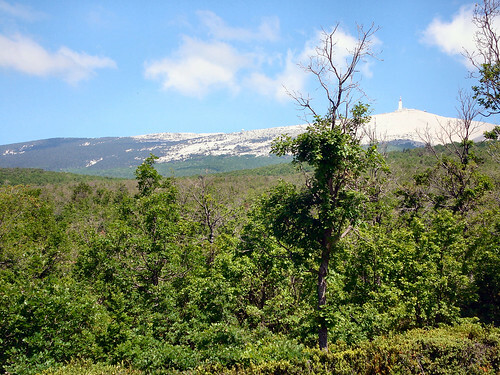 It was my third time up Ventoux this year – in May I climbed from Malaucene and from Bedoin. The road wasn’t crowded but there were still plenty of cyclists – mainly foreigners that were here for one reason – to climb Ventoux. 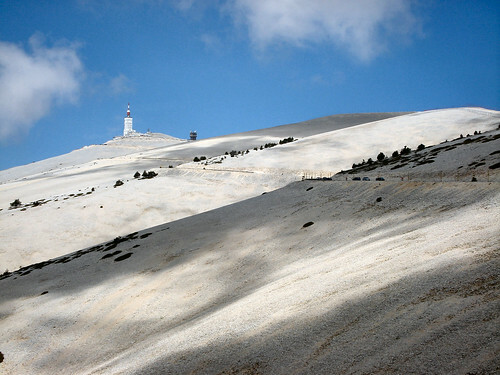 Ventoux means windy, and it is not uncommon to have winds above 100 kmh at the summit or even snow in July. On the other hand it can sometimes be a furnace, especial on the South side. 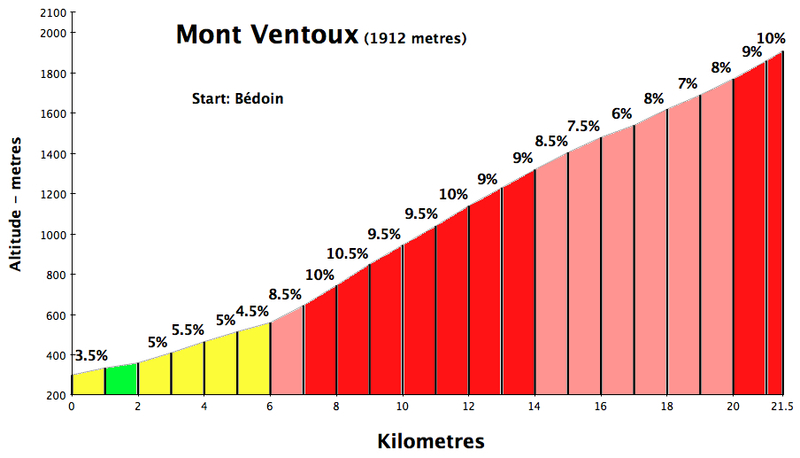 Mont Ventoux first appeared in the Tour de France in 1951. This mountain can be a killer. In the 1967 Tour de France, UK rider Tom Simpson collapsed and died while climbing Ventoux – see the picture of his monument above. Luckily, friends drove up so I could skip the descent, because it was COLD up top. Here’s a great photo of the top that Doreen took in May, 2007. I am a little speck on right.